Last night, at the 35th annual London Chamber of Commerce Business Achievement Awards, Digital Echidna was honoured to be a finalist for the Large Business of the Year Award, which was won by Northern. Though we were confident going in, it wasn’t meant to be. Appropriately, as I walked through the convention centre, Chuck Berry’s “You Never Can Tell” played over the sound system. And even though we weren’t the bride, it’s not so bad being the bridesmaid -- especially when you consider what just being nominated means. When I looked around the room last night, I saw people who have supported us over the years and helped us grow. I saw people from the various boards Echidnas sit on; I saw clients that we’ve had the pleasure of working with; I saw people to whom I’ve turned to for advice and counsel, and, in turn, I saw people who have reached out to us in the same way. Looking at the names of previous winners is inspiring. Companies like last year’s recipient Start.ca, McCormick Canada, Libro Financial Group, 3M Canada, London Life, Canada Trust, StarTech.com, Trojan Technologies… these -- and all of the 35 winners -- are all recognizable companies that have played a key role in growing and sustaining London, and providing quality employment opportunities for Londoners. Even though we didn’t take home the award, we still feel it’s our responsibility to continue that legacy of growth and contribution. It’s an honour to be nominated for this award and to be recognized for our history of contributing to our community, both economically and socially. To be a finalist for the Chamber’s award recognizes the long-standing commitment we’ve made to London. We’ve built our business in the core of the city and have worked to give back to a city that has given us so much. The Forest City is where I was born. It’s where I grew up. And it’s where I am raising my family. In many ways, Digital Echidna is a family business. I wouldn’t be writing this without the long-term support of my wife, Roxanne, and our four kids. I wouldn’t be here without the faith and support that my parents and siblings invested in me. I mean, my brother-in-law has been in this since the beginning and continues to play a vital role in our growth. But family extends beyond that. In many ways, the Echidna team is an extended family and we embrace the shared responsibilities that brings. We have a team that works together, supports each other, and comes together to strive for excellence in what we do and how we support our customers. It’s a family that reaches out into the community and works diligently to lend their talent and time to causes that make this city better. 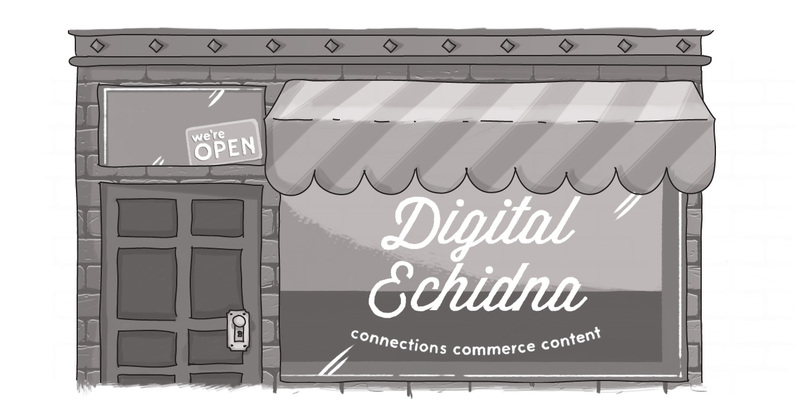 Thank you, each and every Echidna who comes to work every day and shares in our mission of elite customer service and excellence in Drupal web development. So let me end this post the same way I started it. For everyone who has supported us over the years, for all those who have challenged us to be better and extend our reach, for those who have contributed to our growth and success -- no matter how small or how large you may feel the contribution was -- allow me to say, thank you.